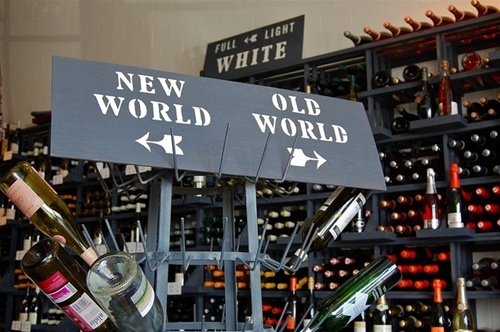 "A Tasting Challenge: Old World or New? (Blind Tasting)"
Can you distinguish an Napa Valley Cabernet Sauvignon from a French Bordeaux? What about Australian Shiraz from Washington Syrah? Or even a California Chardonnay from a French Burgundy? Join us for this amazing and interactive tasting seminar as we examine the differences between the Old World and the New World. Our experts will take a comparative approach that's sure to be informative and entertaining. In this seminar, your palate will travel across the diverse wine regions of world. You'll explore both the classics and the hot new wines with a tantalizing tasting of six to ten wines. This seminar allows you to recognize the vast ranges in character and style of these wines that result from different winemaking techniques and terrior influences. This seminar adds an extra dimension to your enjoyment and appreciation of wine. Upon completion of this seminar, you will enhance your understanding of both the Old World and the New World wines and you will be able to easily identify your wine preferences. Undoubtedly, you will derive more pleasure from the wine itself and stimulate better communication between you and the friends who are sharing the bottle.